Our gorgeous 2015 Jeep Grand Cherokee SRT8 4x4 in Deep Cherry Red Crystal Pearlcoat is a very rare machine that is sure to get your heart beating a little faster. Powered by a race-inspired 6.4 Liter HEMI V8 generating 465hp while connected to the innovative 8 Speed Automatic transmission. This Four Wheel Drive with strong Brembo brakes, quad exhaust, and superior suspension is like nothing you've ever experienced. The SRT8 is upscale inside and out. A power sunroof, premium leather-trimmed heated front seating, and an outstanding sound system with three subs and a high voltage amplifier are just a sampling of what you can expect. In addition, find a 6.5-inch touchscreen with navigation and Bluetooth to keep you safely connected. Our Jeep Grand Cherokee earns excellent ratings for advanced safety measures. Ours comes standard with four-wheel ABS, stability and traction control, front side airbags, side curtain airbags, and active front head restraints. 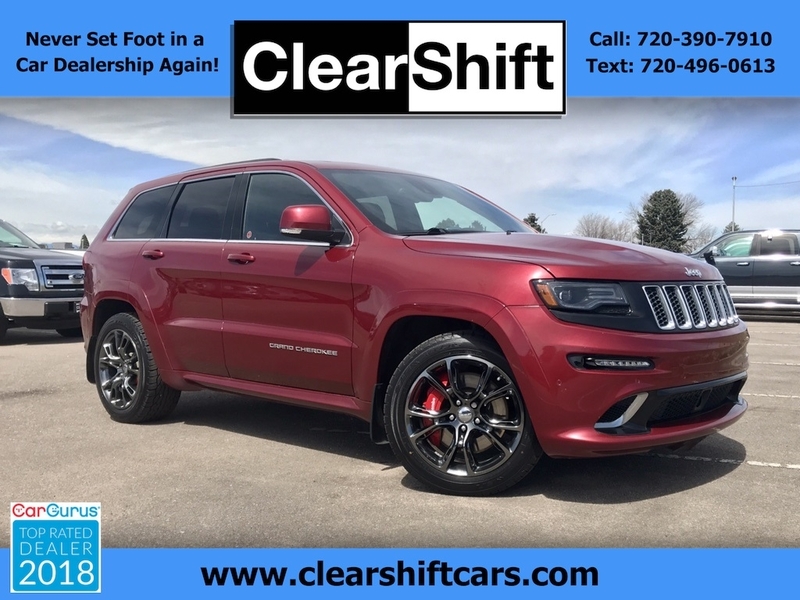 With Jeep leading the way in innovative technologies that are designed to protect you and your family, this Jeep Grand Cherokee SRT is a must-have. Print this page and call us Now... We Know You Will Enjoy Your Test Drive Towards Ownership! Odometer is 14741 miles below market average!